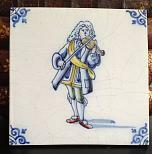 SAY SOMETHING MUSICAL AND UNIQUE WITH A DELFT PORCELAIN GIFT! 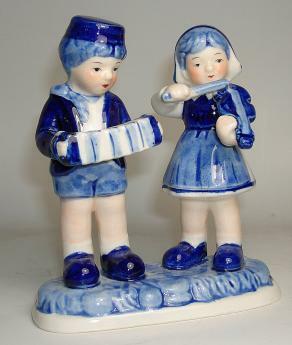 Delftware or Delft pottery, also known as Delft Blue (Dutch: Delfts blauw), is blue and white pottery made in and around Delft in the Netherlands and the tin-glazed pottery made in the Netherlands from the 16th century. Please scroll down for more information. Delftware in the latter sense is one of the types of tin-glazed earthware or faience in which a white glaze is applied, usually decorated with metal oxides. It also forms part of the worldwide family of blue and white pottery, using variations of the plant-based decoration first developed in 14th century Chinese porclein and in great demand in Europe. 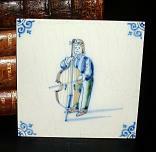 Delftware includes pottery objects of all descriptions such as plates, ornaments and tiles. 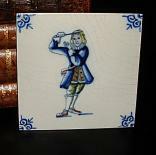 The most highly-regarded period of production is about 1640–1740, but Delftware continues to be produced.